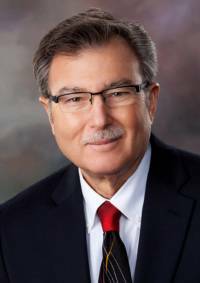 Dr. Facchiano, a Rockford Optometrist, is respected and recognized in the field of Optometry. Since receiving his Doctorate from Illinois College of Optometry in Chicago, Dr. Facchiano has performed clinical studies in the development of new contact lens plastics for the Food and Drug Administration of the United States. He is in the top 10% of Optometrists in the United States and Canada and achieved fellowship with the American Academy of Optometry (FAAO). In addition, Dr. Facchiano is a Board Certified Optometrist, a select distinction held by 1% of all optometrists who practice in nothern Illinois & southern Wisconsin. As Diplomate, American Board of Optometry, Dr. Facchiano participates in an extensive process that involves completing approved higher education that far exceeds the minimum expectations for state licensure, computer assessments, practice improvement exercises, as well as periodic exams that demonstrate competency to maintain board certification in anterior segment eye disease and contact lens care. Be assured you will get the finest available primary eye care that will keep your eyes seeing and feeling their best. He is an active member of the American Optometric Association, current president of IOA’s -Northen Illinois Optometric Society, Contact Lens Society, the Better Vision Institute, Lighthouse for the Blind, and Guiding Eyes for the Blind. He has also been a mission leader and served in over 25 international eye care missions in developing countries all over world. For the past 32 years Dr. Facchiano has extended his care to those that have the least and need his services the most both at home and abroad. He actively supports local community projects, Red Cross, Rockford Rescue Mission, Habbitat for Humanity and the Jaycees. He is active in such philanthropic groups as Volunteer Optometric Services to Humanity, Gift of Sight Foundation, Medical Mission Tours, One Sight Foundation and Mountain Top Ministry -Haiti. Dr. Facchiano is a licensed Optometrist in Illinois, Minnesota, Texas and Wisconsin. He is the third generation of Optometrists from his family to practice Optometry in the greater Rockford IL and Madison WI area. He is married, is the father of two sons and resides in Boone County.